Arris Motorola SB6190 vs SB6183 - Which to get? Why the Arris Motorola SB6190 or Arris SB6183? 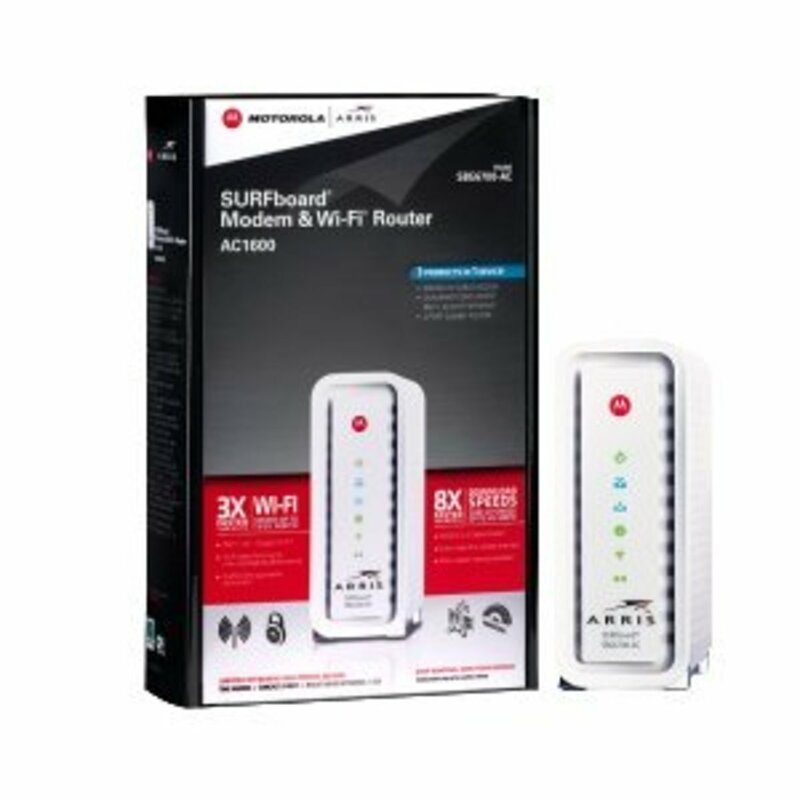 Are you looking for a cable modem that can give you a possible download speed in the range of 500 Mbps up to 1,400 Mbps? One that allows you to bond from 16 up to 32 download channels? If you are then you will have a choice between getting the Motorola Arris SB6190 or the older Motorola Arris SB6183. 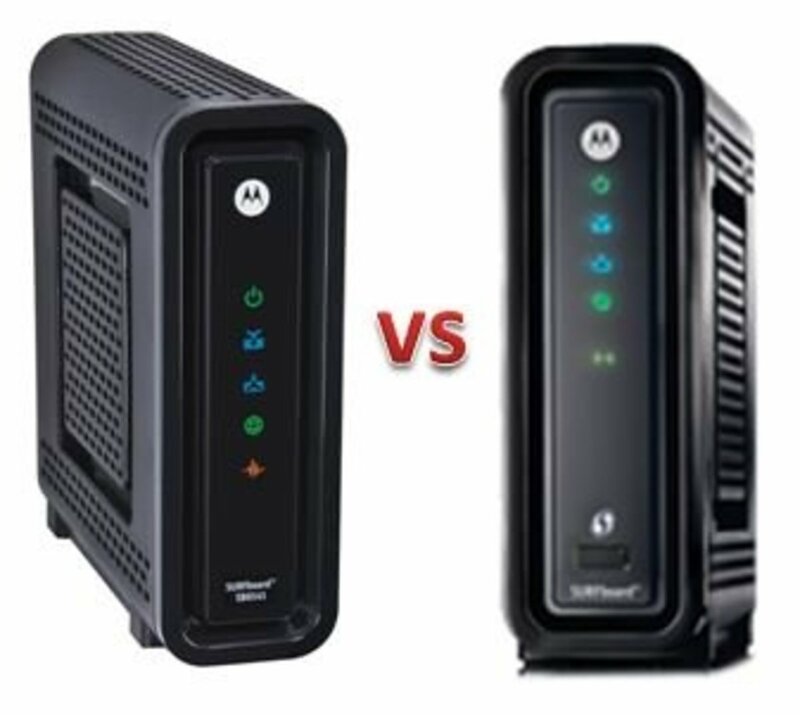 By the way, if you are not using cable, you are out of luck as both of these modems can only use cable. 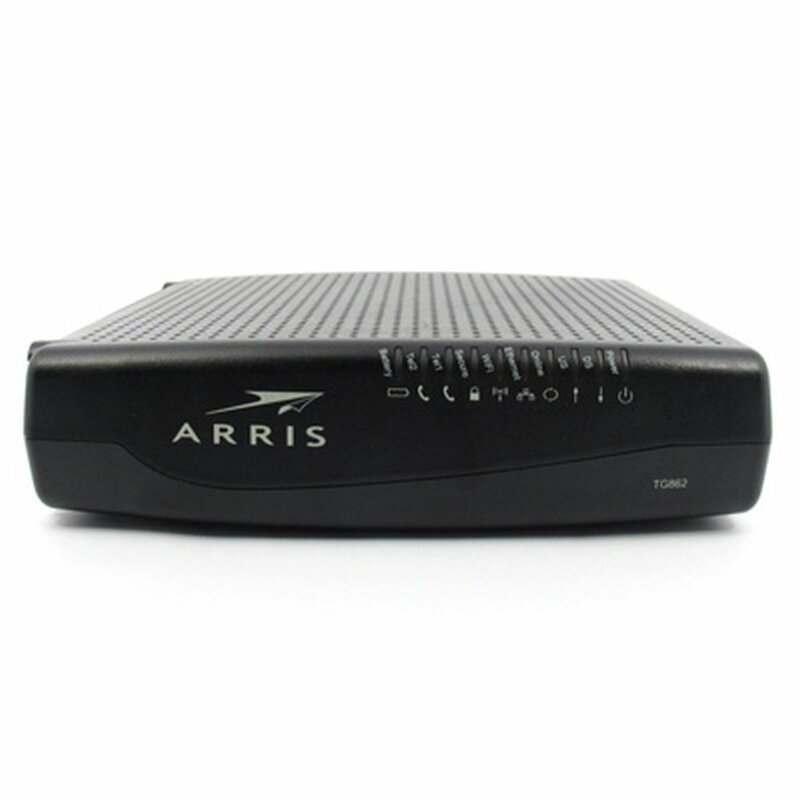 Currently the Arris Motorola SB6190 and Arris Motorola SB6183 are among the fastest DOCSIS 3.0 consumer class cable modems that you can get in the market today. Yes, you guess right, the Arris SB6183 is slightly slower than the recently released Arris SB6190. However does that mean that if you get the Arris SB6190, you will get the best? Read on to find out. If you are specifically looking to find out which of these two models to buy, then you know that the DOCSIS technology is the key. 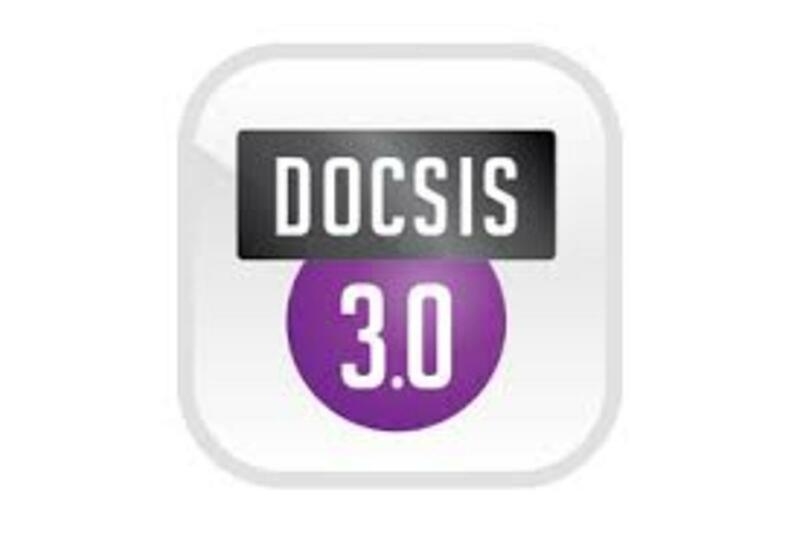 However it is not just DOCSIS but DOCSIS 3.0. Currently both of these two cable modems are on DOCSIS 3.0. The latest is DOCSIS 3.1. 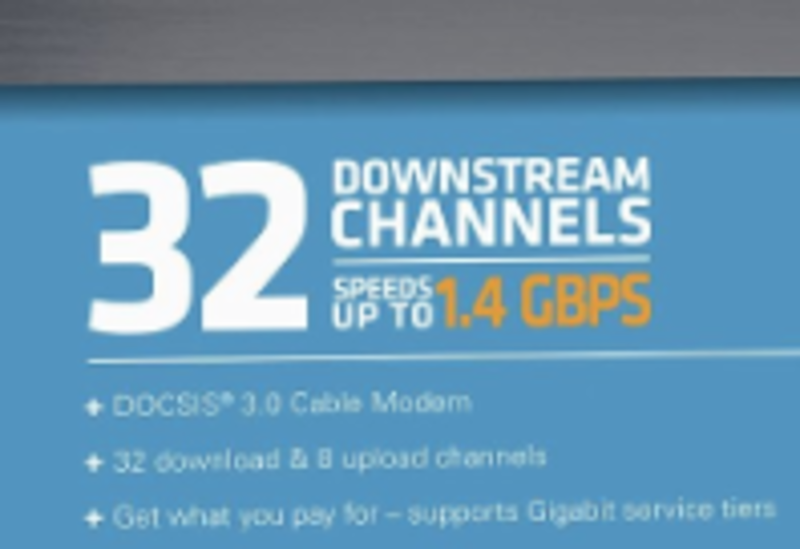 Cable modems with the latest DOCSIS 3.1 will be release some time later in this year 2016. They will definitely be faster but also more expensive. However right now we are focusing on these two DOCSIS 3.0 cable modems. By the way, for those less technical, DOCSIS stands for Data Over Cable Service Interface Specification and it is the international standard created to ensure seamless high-speed data transfer through existing cable TV (CATV) connections. If you want to find out more, you can read my easy and simple comparison review I wrote a few years back discussing whether to buy the Motorola SB6121 or SB6141. Channel bonding is the technology that allows the modem to utilize multiple channels simultaneously to increase its overall performance. A simple analogy is your water pipe. 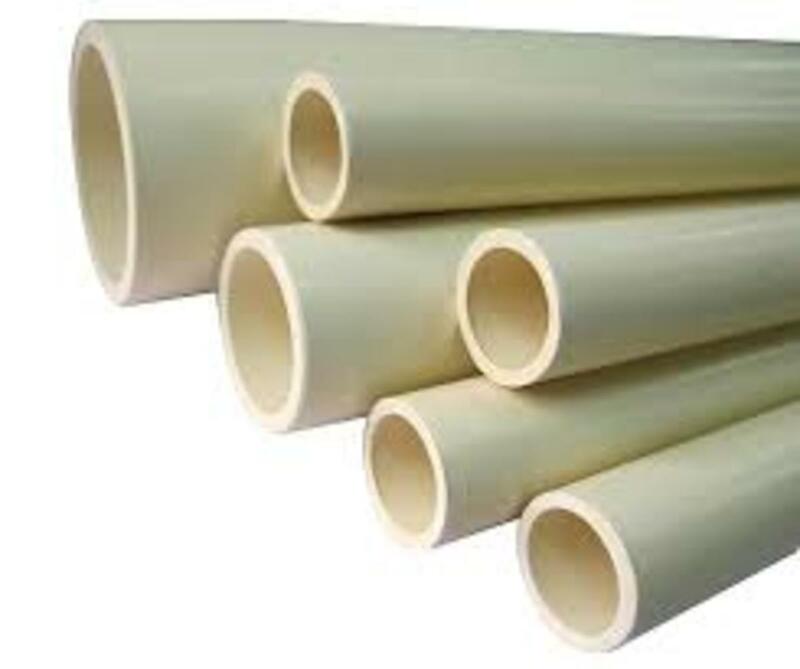 Instead of running water through say six small pipes, why not combine the diameters of the six small pipes into one big pipe. In this way you can get more volume through that big pipe. Channel bonding in your Motorola SB6190 or SB6183 works in a similar manner for data. However many people tend to misunderstand some concept of the channel bonding. The number of channels that can be bonded is actually dependent on your ISP and not on the modem. 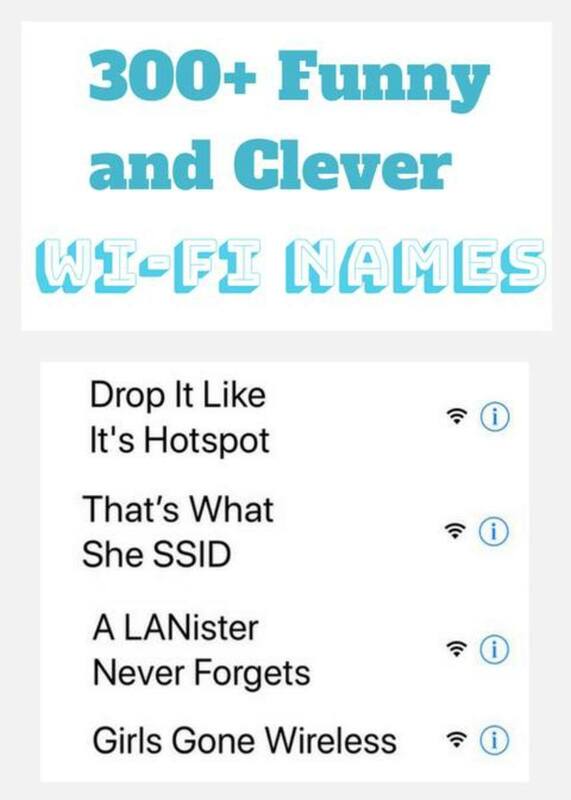 However the modem must have that capacity to bond. For example, the Arris SB6190 is capable of bonding 32x8 but it does not mean that you will get that amount of channels as your ISP may not have that many channels available to bond. Hence at the time of writing, Cox only offers a max of 24 channels down and 4 channels up. So even if you have the Arris SB6190, that's all you will get with Cox now even though the SB6190 is capable of 32x8. So you will have to wait to get the 32 down until Cox has it available in your area. 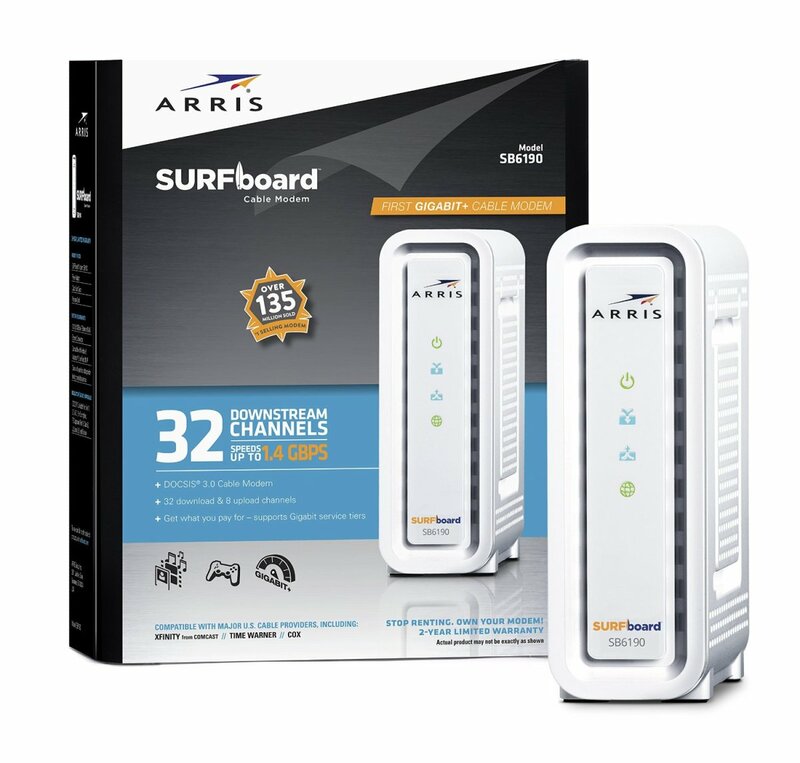 In its advertisements, Arris mentioned that the SB6190 is the first Gigabit+ consumer class cable modem on the market with speeds of up to 1.4 Gbps! Many people automatically come to the conclusion that they will get a 1.4 Gbps when they see that description. However if you look at the back of the modem you will find that it only has a 1.0 Gbps Ethernet port. However, I would say, don't worry. Even with a 1.0 Gbps download capacity via the gigabit Ethernet port, it is already very fast to download. For example I am amazed at how fast I could download multiple HD movies with the SB6190! For many people, getting 300 to 400 Mbps down right now is an awesome experience. Arris Motorola SB6183 is one version earlier than the Arris SB6190. Its main specifications like the bonding channels and speeds are approximately half that of the newer modem. The SB6183 is a very stable product. 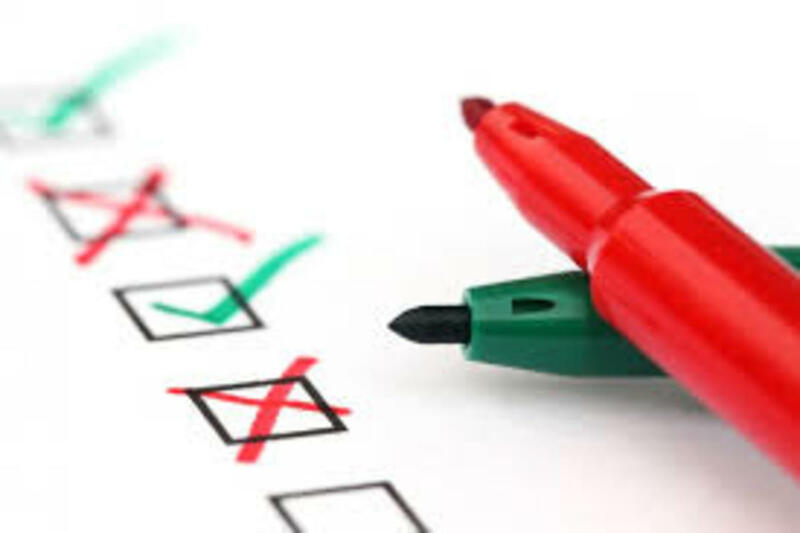 Many owners are very happy with it as its initial released problems have been resolved. If you need to connect a telephone to your modem, then you cannot use either of these two modems. Instead check out the Arris TG862G. Check out the Motorola SBG6782 or SBG6580 if you are looking for modems with wireless router in the same box. If you are looking for an immediate solution, the Motorola SB6183 seems to be a good option. This is because if you are happy with what you can get from the service provider today, then the 6183 is sufficient. After all many people are happy with the 300-400 Mbps down that they can get from the service provider today. You can potentially use it for another one to two more years. After all technology moves very fast. By then you can upgrade to a spanking new DOCSIS 3.1 modem. If the service provider in your area provides 32 channels down, then Motorola SB6190 will be the one to pick. You could also look at the SB6190 as something to future proof. Seeing that many service providers can only supply 300-400 Mbps down today, you can still retain the SB6190 box when the providers increase their capacity in the future. On the other hand some would like to have the latest technology. At its current price of about $50 more than the Motorola SB6183 today, they may feel that they don't mind spending the $50 extra to experience the latest technology. They know they can use for at least for six months to one year from now before the latest DOCSIS 3.1 modem and technology becomes available. The fastest cable modem that you can get today. For an approximate $50 more than the SB6183, you can get this latest DOCSIS 3.0 modem and know that it will take you a long way. Arris Motorola SBG6782AC: Is this gateway good enough for you? 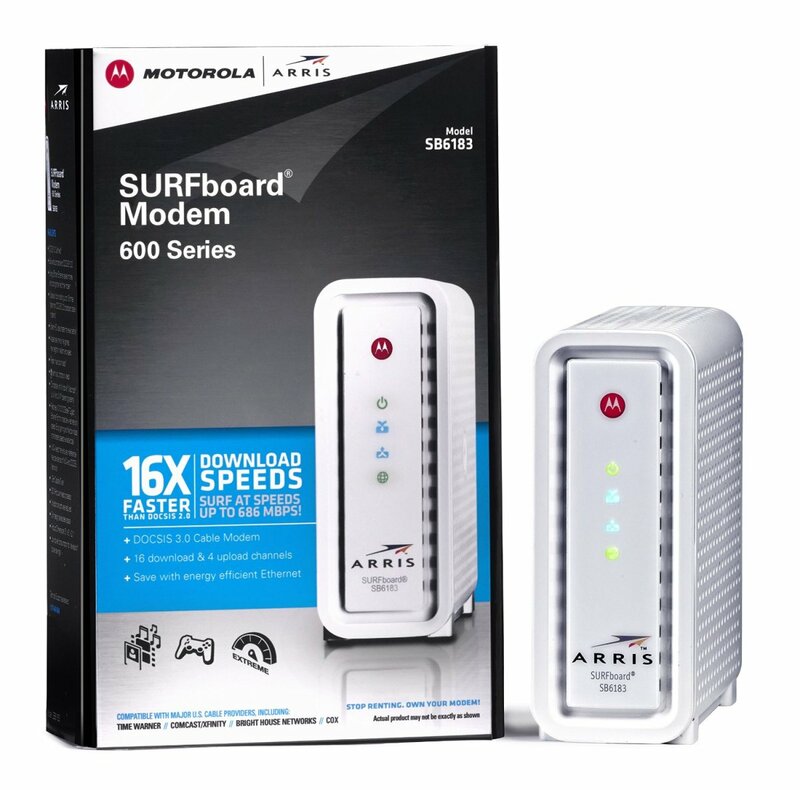 The Arris Motorola SBG6782-AC Surfboard Extreme cable modem plus wireless router combo together with its inbuilt MoCA technology gives you excellent network performance with unprecedented flexibility. If you have the Arris SB6190 or SB6183, then you may want to check out the TPlink Archer C7 or C8 to make sure that you get the best speed that can be provided from either modems. 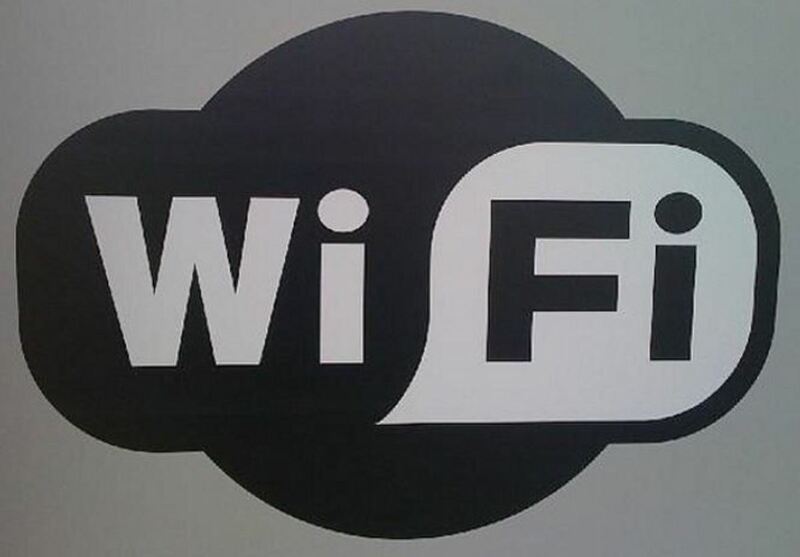 Asus has also released a very fast wireless tri-band router. To do justice to your Arris SB6183 or SB6190, you should consider paring it with the Asus RT-AC5300 if you much prefer Asus over TPlink brand. SBG6700AC: Is This AC1600 Gateway Good Enough for You? Arris Motorola SB6141 vs SBG6580: Which Is Better? How about testing the longevity of high performance modems? Do they degrade after 5+ years of use? If they run hot or not? Otherwise i think an SB6183 ought to last me until DOCSIS 3.0 is no longer supported by Comcast, because 500Mb/s down 100+up is just fine. Maybe 20 years who knows. What consumer needs more than 50MB/s download speeds, that's a bluray every 500 seconds. How about which is more energy efficient, the SB6183 or SB6190? Latter is way overkill for most Comcast users. Just a heads up to anyone deciding between these two, the SB6190 switches chipsets from Broadcomm to the Intel Puma 6, which has been plagued by latency issues. These should be patched in the near future, but Intel has known about the problem for at least 4 months now without releasing a firmware update. Unless you want to take a chance on that improving in the future the SB6183 may be the safer choice. I've not heard of any tiers between 300Mbps and 1Gbps. So, why isn't the 6141 (speeds up to 340Mbps d/l) Good Enough for anything below GigaBlast? Uh, the 6190 is rather obsolete in most cases now as the need for 1.4G DOCSIS modems is going away with the ISPs going to FIBER for gigabit speeds! I know FOR A FACT that Cox Communications has gone total fiber for anything over 300mbit ("GigaBlast service). It's going all fiber and a 6190 is not compatible with it. Whole new tech for the box. So, 6183 should be great for ANYONE wtill running a cable service with copper lines running to their modem. Copper is difficult at gigabit speeds while optical fiber is great for high speed. Hence, the switch. Really, check with your ISP, it;s likely the 6190 is just overkill and overprice for DOCSIS type connections. For Arris SB6190 you have shown Upload Channels as 16, however as per Arris official website for this modem upload channels are only 8, you may like to correct the information. The chart is also wrong on the 6190 upload channels. I believe that should be 8, not 16. Very good comparison, thank you. Thank you JStick for pointing that out. I have changed it. Hello buy a few days ago SB6190, I'm really very pleased with its performance, use Comcast. I was using a router Dlink Dir615 but died, at least for now, by a bad update of firmweare, the issue is that I need to buy a router for home, I was considering returning the SB6190 and buy the SBG6900-AC, but truth be told I displeases that this model only reaches speeds up to 686 Mbps, and I'm behind the Apple Extreme Air port for some time, but I would like to know your view on the matter. I would advise return the SB6190 and buy the SBG6900-AC? or you think better idea to stay with the SB6190 and buy the Apple Air Port Extreme? greetings and already thank you very much. The # of download channels in your comparison chart for the SB6183 is incorrect. It shows 8 and should read 16 download channels.